It’s no secret that airplanes are germ pools, so here’s shares some advice for how to avoid getting sick on one. Summer has arrived which, for many of us means gearing up to enjoy the miracle of flying…and sometimes this is accompanied by the intermittent contagion. If you are reading this, there is a good chance that you love to travel or perhaps you travel often for work. So, here are a few tips to help you avoid catching the latest strand of the nefarious flu (or something worse) in these tightly packed vessels. Of course, we can’t guarantee that you won’t get sick, but if you follow these nine suggestions, you will definitely increase your chances of arriving (and departing) healthy. Drinking water is a must when you want to avoid being sick, especially on a plane! Keeping yourself well-hydrated will keep toxins out and prime your body’s self-defense mechanisms, such as its biggest organ: the skin! Keep a water bottle handy and drink plenty of water the day before and during flight. If you can, avoid sugary, caffeinated and alcoholic drinks as they are known to weaken the immune system and dehydrate. Tip: Warm drinks are also ideal, so instead of your normal coffee, opt for a delicious herbal tea like chamomile which will also help you relax and sleep on board. Your tea options on board may be limited so we suggest having a few of your own tea bags on hand just in case. Bring sanitary wipes, face wipes and antibacterial lotions with you. This way, you can clean your hands and face frequently, particularly after you have used the airplane restroom… or someone has sneezed on your tray table. Tip: Clean off your tray table and armrests as these rarely get cleaned and are likely full of germs from the people who sat there before you. 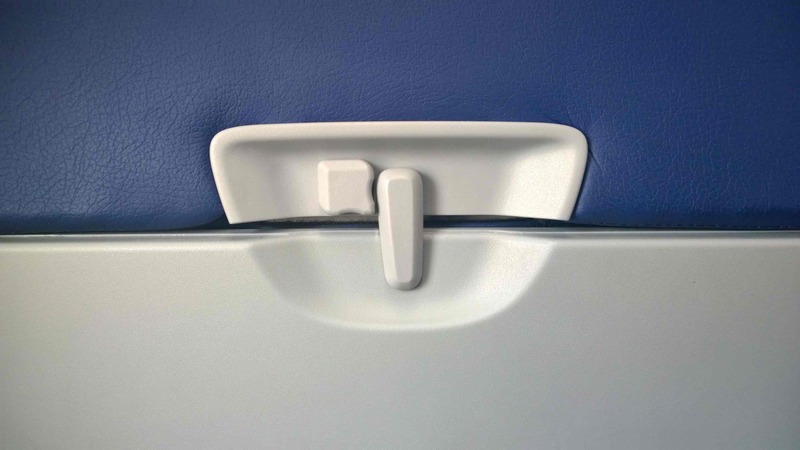 Wipe down every inch of your tray table as it’s likely filled with germs from previous travelers. If you’re seated beside someone who is sick, your chances of getting sick will definitely increase. If the flight isn’t full, ask the flight attendant if it’s possible to move seats. Before your flight, request a window seat as it lowers the likelihood of sitting close to someone who is under the weather. Tip: Consider wearing a facemask. If you are, in fact, the sick person, this courtesy is respectful to your fellow passengers. Get up and stretch. Do some simple stretches in your seat throughout the flight, which will increase blood flow and contribute to your overall well-being on board thus lowering your stress levels and priming your immune system. Tip: Be mindful of what your body needs. Pay attention to how you’re feeling throughout the flight so you stay in a peaceful state of mind. There are tons of theories on how to best deal with jetlag and adapt to new time zones but the truth is, rest is the best. Rest and sleep as much as you can before your flight, during and after you arrive to your destination. Sleep helps your body heal, so do as much of it as you can. 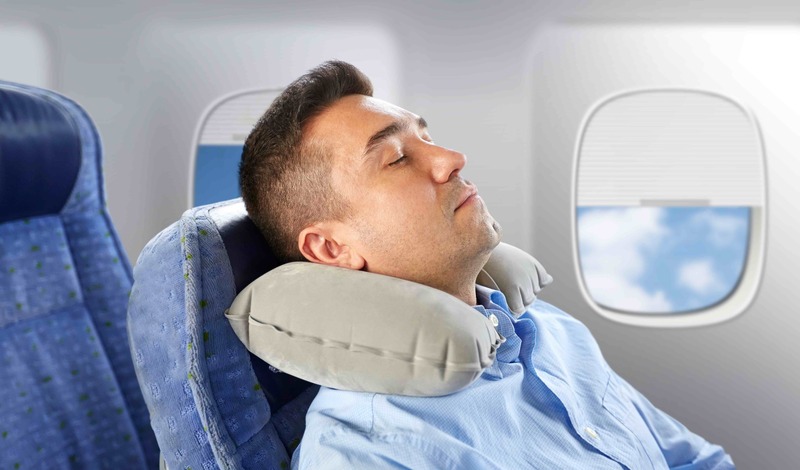 Tip: Consider using earplugs, a neck pillow and an eye mask on the flight. These essentials will help block distracting sounds and light that inevitably keep you awake. Healthy food boosts the immune system, so be sure to eat as many fruits and vegetables as you can before and during your trip. Tip: Vitamin C is a fantastic health warrior! So, if you’re in a hurry and can’t find fresh oranges, opt for a Vitamin C supplement that can come as a pill or in powder form. Wear comfortable clothes with layers, and be sure to stay warm on your flight. Flights are often a bit chilly and being cold weakens the immune system, thus, not great for avoiding sickness. If you can, bring your own pillow. Don’t use the airplane pillows or blankets unless they are wrapped in a plastic, as that indicates that they’ve been cleaned. Tip: Pack warm socks, long pants and a cozy sweater in your carry on. Trust me, you’ll thank yourself later. Not everyone suffers from motion sickness, but if you do, you know how unpleasant it can be. To help ease the pain, Gravol is a popular choice but if you prefer something more natural, you can take ginger capsules before your flight. Ginger is known to calm the stomach and will help soothe those icky motion sickness symptoms. Tip: Be sure to drink lots of water and avoid heavy foods as well. Don’t let motion sickness sneak up on you. When you arrive at your destination, be sure to get as much rest as you can the first day and, if you can, detox from your travels in a salt bath.